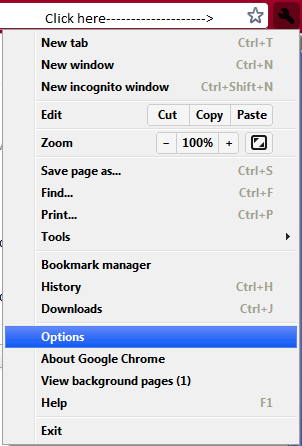 Last week i show you how to tweak Google chrome for very high speed today i will show you about the new features of the Google chome beta.Google has just released the latest beta version (Google Chrome Beta 16) of Google chrome.The latest version included many new features .One of the new feature is to create and switch between multiple profiles.You can download the latest version of the Google chrome beta from the below link. Multiuser profile is fabulous feature if you sharing your computer with family and friends then there may be chances that the bookmarks you have saved in your Google chrome web browser can be used by some one else.So the Multiuser profile feature create separate profile for separate user such that no one can use data of other like bookmarks and saved passwords. Step 1: Open the browser and click on the wrench menu and select Options. now click on Add new user that’s it your new user is added successfully. 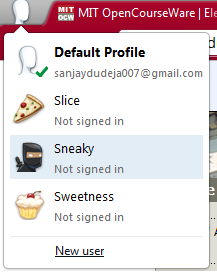 Step 3:Now you can add new user directly and switch to another user directly by clicking on the left top most icon. If you want to delete user then again go to Personal stuff and click on delete.I hope you like my this post if you have any query please leave comments in below comment section and don’t forget to subscribe and like my blog .